Barolofriends, a newly opened wine bar in the center of town, is one of the most exciting additions to the eating and drinking scene in Piedmont. The brainchild of proprietor Paolo Annoni, Barolofriends is the perfect place to stop by for an informal meal or glass of wine. Chef Imer Pegoraro’s menu is rich in tradition, often done with a few twists. Pegoraro spent several years with Massimo Camia at Locanda del Borgo Antico, and it shows in dishes like the vitello tonnato, which is unusually refined for a restaurant of this level. The room is warm and inviting, while the food is delicious and reasonably priced, all of which makes it easy to return. That is exactly what we did this past summer. Both meals we had at Barolofriends during Vinous's first offsite were terrific. Best of all, the kitchen is open all day, from 11am to 10pm, unusually flexible by Italian standards. The vitello tonnato is absolutely delicious. There is poetry in executing the classics perfectly. 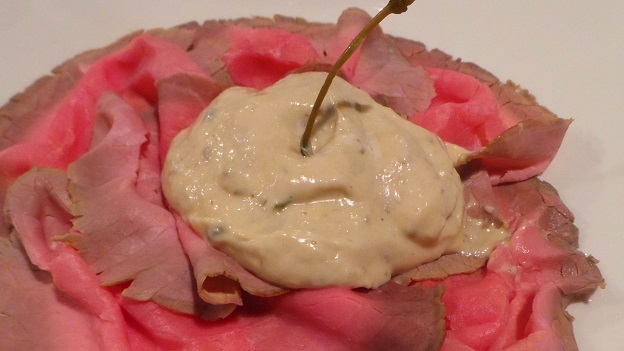 Although we are in a casual restaurant, this vitello tonnato could be served anywhere. It is that good. Giuseppe Rinaldi’s 2010 Barolo Brunate is utterly mind blowing from the moment it is served. Violet, lavender, black cherry and a host of balsamic-inflected notes rise out of the glass as this towering, majestic Barolo shows off its personality. Constantly changing in the glass, the 2010 delivers pure sensory pleasure to the maximum. Although I very much enjoy tasting wine for a living, some wines are meant to be drunk. This is one of them. What a great showing. 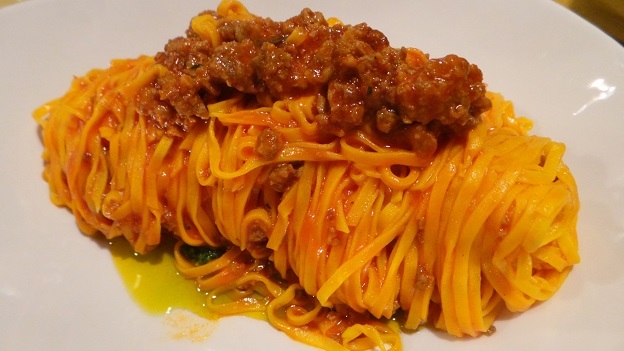 The tajarin with sausage ragù is served atop a spoonful of pesto, an unusual combination that works brilliantly. What to drink next? 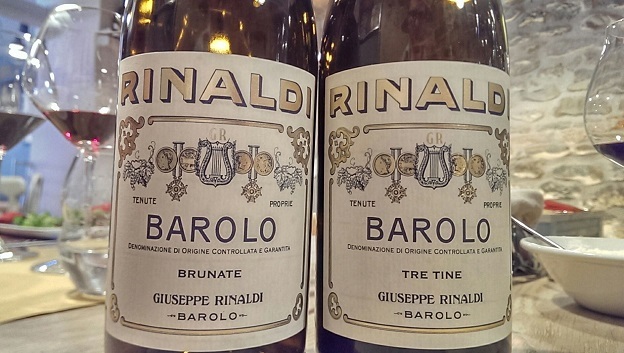 A bottle of Rinaldi’s 2010 Barolo Tre Tine proves irresistible. Much more tannic and austere than the Brunate, the Tre Tine boasts laser-like intensity, searing tannin and phenomenal overall balance. This is a classic Barolo in every sense. The Tre Tine is a blend of three sites; Cannubi/San Lorenzo, Ravera and Le Coste; all in Barolo. In many ways, the Tre Tine is the archetype of Barolo from the village of Barolo. Magnificent. 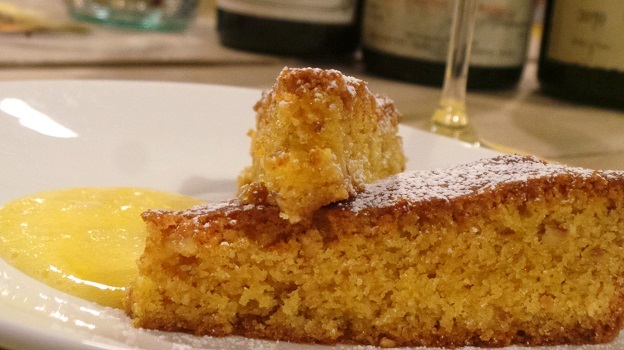 A slice of hazelnut cake with zabaglione followed by a double espresso is a great way to finish lunch. Readers visiting Piedmont will want to check out Barolofriends, where the food, wine and service are all top-notch, especially compared to other local restaurants in the same price range.